The Ta Da Magic Workshop is a magic workshop for intended for groups such as birthday parties, cub scouts, girl scouts, church groups, libraries. The Ta Da Magic workshop is a 60 min course in magic that you can learn and perform at home for your family and friends. 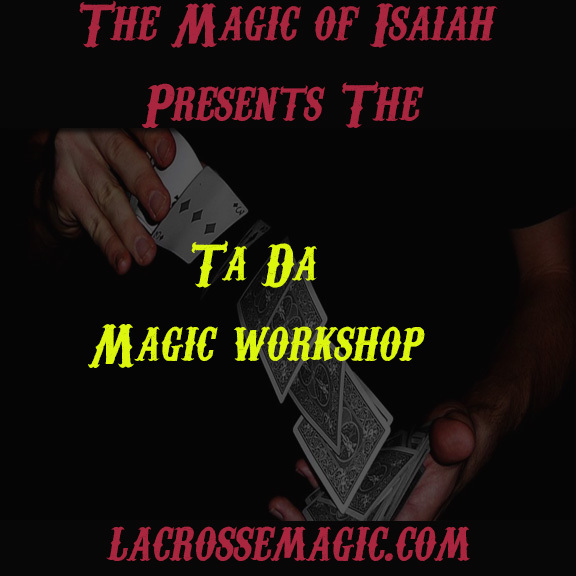 The Magic of Isaiah will teach several magic tricks using household items that will create miracles for your audiences. A few of the tricks include; reading your volunteers mind using color crayons, disappearing a toothpick right before your audiences eyes and yet magically making it reappear, making balls disappear from your hand and reappear in your volunteers hands and we will explore the oldest trick in the world, the cups and balls. This is just a sneak peek into the exciting class Ta Da has to offer. 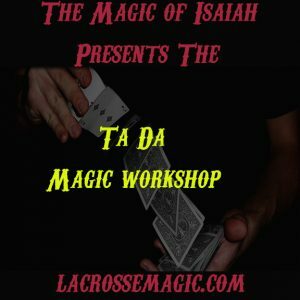 The Magic of Isaiah is excited to be able to offer his class Ta Da for budding magicians or those who are just curious. The only requirement is your imagination.